Home » Ex Demonstration Printers & Computers UK, Ex Demonstration Screens UK » Apple Ex Demonstration, Ex Display and Graded Equipment » MD760LL/B Apple MacBook Air A1466, Core i5 1.4, 13.3" screen, 8gb RAM, 128GB SSD - Refurbished Grade A.
MD760LL/B Apple MacBook Air A1466, Core i5 1.4, 13.3" screen, 8gb RAM, 128GB SSD - Refurbished Grade A. Thanks to compact all-flash storage in MacBook Air, there’s plenty of room for a big battery. Working together with the new power-efficient Intel Core architecture, this battery can post some impressive numbers. Now the 13-inch model gets up to 12 hours of battery life on a single charge and the 11-inch model gets up to 9 hours. 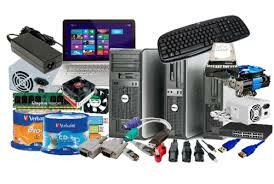 That gives you all-day power for word processing, presentations, email and more. And if you’re watching iTunes films, you get up to 10 hours of playback time on the 13-inch model and up to 8 hours on the 11-inch. Put MacBook Air to sleep for more than 3 hours, and it enters standby mode to conserve battery life for up to 30 days. And if you enable Power Nap, you’ll continue to receive new email and calendar invitations while your computer is asleep. 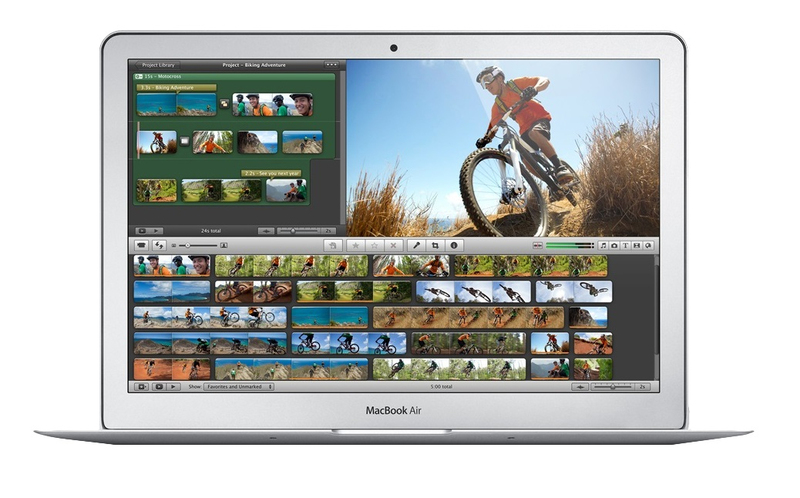 MacBook Air is powered by the all-new fourth-generation Intel Core i5 and i7 processors. This ultra-efficient architecture was designed to use less power and still deliver high performance. Which means not only can you do whatever you want — you can keep doing it for longer than before. In addition, the new Intel HD Graphics 5000 offers up to 40 per cent faster graphics — performance you’ll especially notice with games and other graphics-intensive tasks. MacBook Air now supports ultra-fast 802.11ac Wi-Fi. When connected to an 802.11ac base station — including the new AirPort Extreme and AirPort Time Capsule — wireless performance is up to 3x faster than with the previous generation of MacBook Air. And your Wi-Fi range improves as well. With Bluetooth technology, you can connect MacBook Air to Bluetooth-enabled devices like speakers and headphones. Even without all the wires, you’re totally connected. Part of what makes MacBook Air so responsive is that it’s designed entirely around flash storage. Not only does this make MacBook Air much lighter and more portable than traditional notebooks, it also provides faster access to data. Available in capacities up to 512GB, this next-generation flash storage is up to 9x faster than a traditional 5400-rpm notebook hard drive. And it’s up to 45 per cent faster than the flash storage in the previous-generation MacBook Air. So when you flip open MacBook Air, it’s ready to go straightaway. Even after a month in standby mode, the screen springs to life. As if this big bump in performance wasn’t enough, the 11-inch model now comes as standard with double the capacity — 128GB. With the lightning-fast Thunderbolt port, you can connect your MacBook Air to the latest devices and displays, like the Apple Thunderbolt Display. But that’s not the whole story. MacBook Air also comes equipped with two USB 3 ports, so you can connect the latest USB 3 devices and all your USB 2 devices as well. With just a few connections, MacBook Air transforms from an ultra-portable notebook into a complete workstation. Corner to corner and pixel by pixel, the MacBook Air display is both an engineering feat and a design breakthrough. The display measures a mere 4.86 millimetres thin, yet its resolution makes you feel like you’re looking at a larger screen. The 11-inch MacBook Air features a resolution of 1366x768 pixels, while the 13-inch model wows with a resolution of 1440x900 pixels. And LED backlighting makes colours bright and vibrant from edge to edge. So whether you’re editing photos, perfecting a presentation or watching a film, you’re going to love what you see. 720p FaceTime HD camera. Stay sharp. The Multi-Touch gestures in OS X make everything you do on MacBook Air more intuitive, direct and fun. And the spacious Multi-Touch trackpad is perfectly designed for them, whether it’s a three-finger swipe to activate Mission Control or a four-finger pinch to see all your apps in Launchpad. Gesture responses are smooth and realistic. So when you’re scrolling up and down a web page or swiping from one full-screen app to another, it’s almost like you’re touching what you’re seeing. As incredibly compact as MacBook Air is, it still manages to fit a full-size keyboard that makes typing as natural as it is comfortable. And the keyboard is backlit, so you can type with ease in even the dimmest light. A built-in ambient light sensor detects changes in lighting conditions and adjusts the display and keyboard brightness automatically. From a seat in a sunny café to a seat on an overnight flight, you’ll always have the perfect lighting for any environment.